Okay, so Nintendo is releasing a new console (the Wii U) with a new controller (called the Wii U GamePad). I'm actually cool with the GamePad—even though it's quite wide. It opens up new takes on multiplayer, which is a very good (and welcome) thing. What I hate is the Wii U Pro Controller. You might be saying, "Well, you hate the Wii U Pro Controller because it looks like the Xbox controller." No. Rather, what I don't like about the Wii U Pro Controller is that it's too light. It feels like the first PS3 controller, the SixAxis, which was also too light. There's no heft to it—and the Wii U controller feels as though it's going to float out of your hand. Worse yet, the game's force feedback seems somewhat weak. Earlier this week, I played the Wii U version of Ninja Gaiden using the Pro Controller. I didn't even realize the game had force feedback (I actually went back and double checked—there was feedback). That might be a good thing if you hate the rumble—but bad if you like it. I like the rumble! 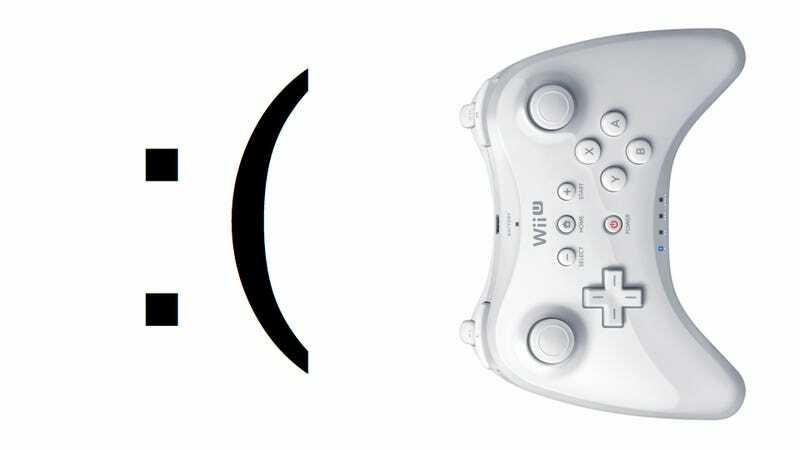 The Wii U Controller also feels, well, cheap. There's a nice gloss coating, but in the hand, it's as though you can snap the Wii U Pro Controller in half. I don't think you can snap it (obviously), but it hardly feels like a Nintendo-made, prime controller for the Wii U. The buttons are not clicky, but mushy, and the whole affair feels, well, uninspired. It's not a premium product. They can call it the pro controller, but it feels amateurish to me. That's fine and dandy—that is, until you realize games like Bayonetta 2 are Wii U-bound.